Joyce Kilmer Forest-from NC 143 turn right on SR (state Road)1127, follow 2 miles to Joyce Kilmer Rd. to explore this rare example of an old growth forest. In 1936, 3800 acres of one of the few remaining tracts of virgin hardwood in the Appalachians was set aside in honor of the poet, journalist and World War I soldier who was killed in action. A two mile trail winds through the forest. Robbinsville-take US 129 N for 1 mile. Turn left on NC 143 West, follow signs for 10 miles. 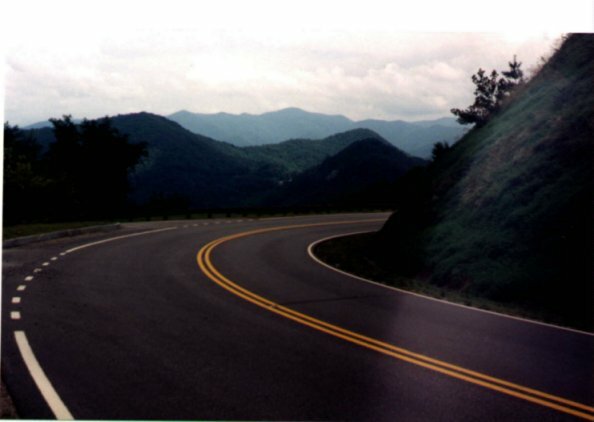 As a visitor to the wilderness areas surrounding the Cherohala Skyway are primitive environments. (or boondocks!) The Cheoah Ranger Station would like to remind you that you will face the challenge of being entirely self-sufficient. (No Boat, no lights, no motor car, not a single luxury!!) BYO Beverages and Food, Gas, Film, Smokes, etc! !